Little changes to your home such as a new ideas with natural stone kitchen countertop or beautiful wallpaper can give much-needed change to your life. Reviving your home is a lot more than just adding to the looks. It is about increasing life of your home and its resale value. Change the way you look towards the world and you will see it in different lights. 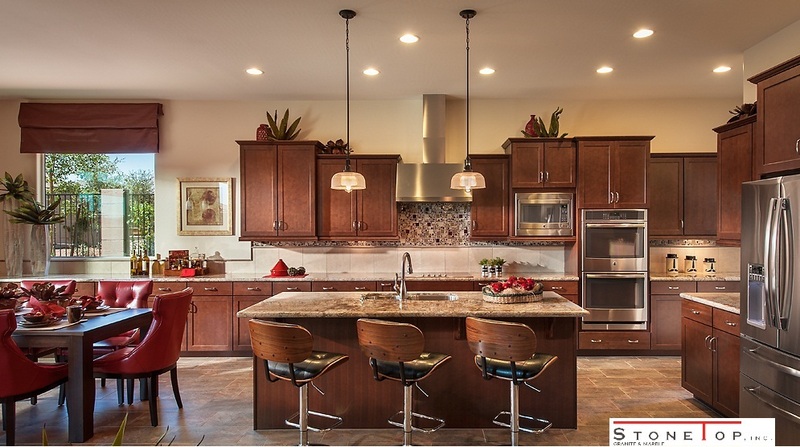 However, changing the looks of your home or kitchen as per your dreams can make your home a place to cherish. Here are 9 kitchen countertops in Georgia that can make any kitchen look great. For a home that needs complete makeover granite kitchen countertop is the best cost-effective solution. The reason being a granite countertop is not only durable and beautiful, but also versatile. Available in attractive colors and patterns these stones are the most preferred choices for a modern kitchen. Granite kitchen countertops are touch and scratch resistant, but porosity makes them susceptible to stains. They are quite costly compared to other natural stone countertops. Marbles show flow texture in contrast to crystal patterns of granites. Even though granites are a fad in the market, marbles hold grounds because of their unmatched good looks and milder tones. They elegantly outshine other countertops in both honed and polished forms. Marbles kitchen countertops are less costly compared to granites, but high on maintenance. As they absorb stains faster, you should take proper care such as immediate cleaning and sealing to prevent stains. Quartz countertops are hygienic, non-porous, harder and heavier with gem-like colors, which make them better surface materials than granites. Mineral (quartz), resin, and pigments blend to form these beautiful countertop surfaces. 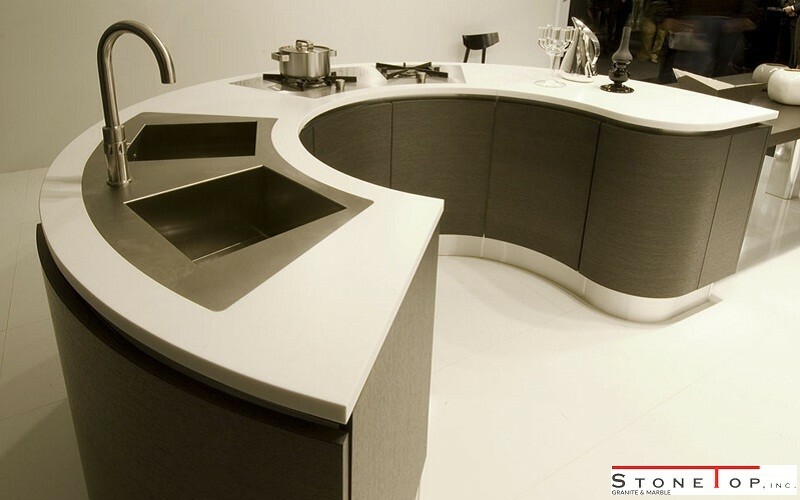 With simple patterns and colors quartz kitchen countertops impart a touch of luxury and modernity to your kitchen. Unlike granites, quartz countertops lack crystal structures. Another drawback with quartz is the stone loses color in sunlight. Quartzites are the metamorphic rocks with hardness greater than granites. These stones were initially sandstones which metamorphosed to assume the present form. Quartzite countertops are non-porous and extremely durable, but beautiful like marbles and harder than steel. Natural quartzite kitchen countertops do not etch due to water or chemicals, buy these days it is difficult to find natural ones in Georgia as most of them are artificially made. So if you are looking for natural quartzite kitchen countertops in Georgia better look at other natural stones as well. When it comes to natural stone surfaces, quality and durability of a product does not depend on whether it is natural or synthetic. Compare the pros and cons of countertop surfaces to find out which one suits your kitchen the best.